Featuring the best in the city’s dining, nightlife, style, and arts & culture communities, the Beijinger is the capital’s premier English-language magazine and website. It’s the must-have city and lifestyle publication for locals and expatriates alike. 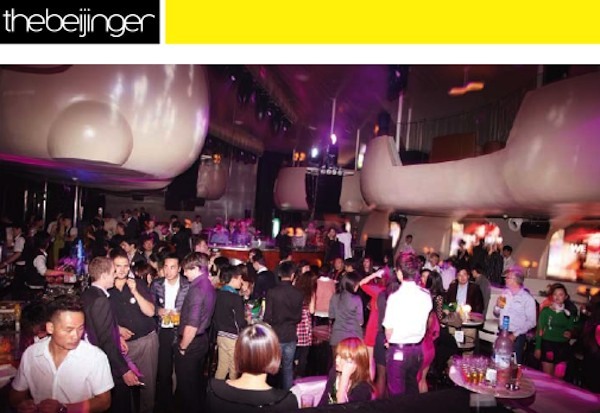 Drawing on the largest venue directory and most comprehensive event listings in the city, the Beijinger keeps readers abreast of what’s happening in our ever-changing metropolis. No other magazine features as many new bar and restaurant reviews as we do. Our editors and contributors are a mix of English-speaking locals and foreigners with an insatiable curiosity to discover and share the best that Beijing has to offer. For over a decade, readers and advertisers have turned to the Beijinger because they trust our coverage, our expertise and our quality. Beijingkids is the most comprehensive English-language resource for international families in Beijing. Suited for families living in the capital, each issue contains essential information on schools, dining and health, as well as travel, shopping and entertainment for all ages. In addition to the magazine, beijingkids keeps readers updated daily via beijing-kids.com, a platform for families to discover upcoming events, buy or sell on our classifieds, share their thoughts on our forum, and stay up-to-date with the local community via daily blogs and our online photo gallery. Throughout the year, beijingkids hosts popular, seasonal family-friendly events, including our Father’s Day Pool Party, Halloween Party, Santa on Ice, and the annual International School Expo, which coincides with our School Choice Guide. JingKids magazine is the first Chinese publication dedicated to providing the most comprehensive information on international education, international lifestyles and the local community to Beijing and Shanghai families. Each issue covers all of the areas that matter the most to families, including education, health, dining, travel, shopping and community activities, with in-depth reporting and up-to-date events and directory information.